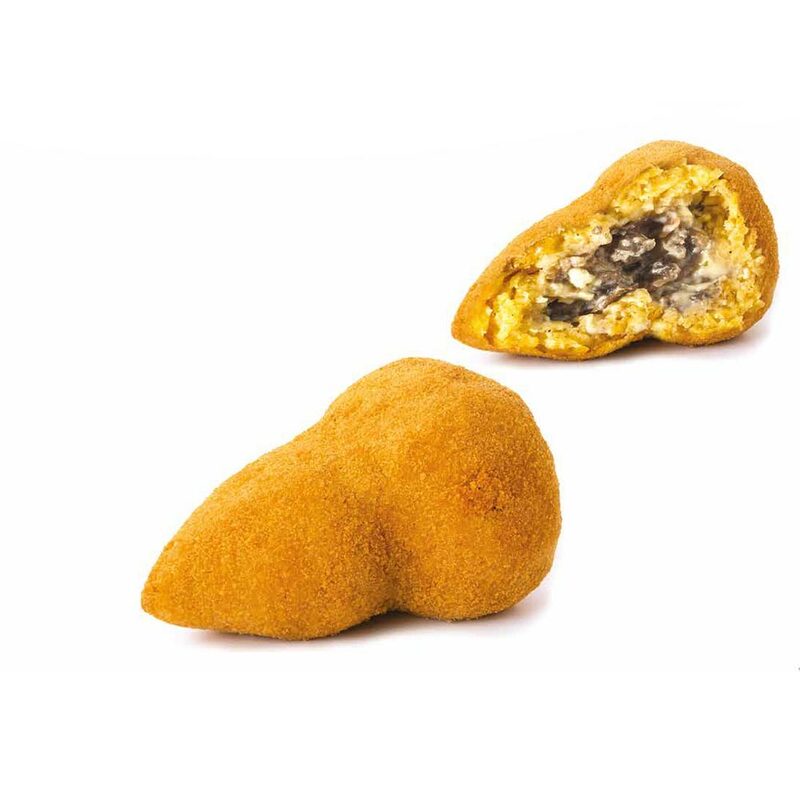 Arancino (in Sicilian dialect “arancinu” or “arancina” is one of the best product of Sicilian roasted goods. Its name comes from its orginal shape and from its typical golden colour, reminding of an orange. It is a delicious rice ball filled with mushrooms, envelopped by crisp breadcrumbs. It is possible to buy all frozen products with a minimum order of 4 cartons corresponding to 50kg. It is possible to add different products as long as they reach the minimum that can be ordered.